San Miguel style bronze finished punched tin star for WALL hanging with multi colored marbles in each point and side of the star. 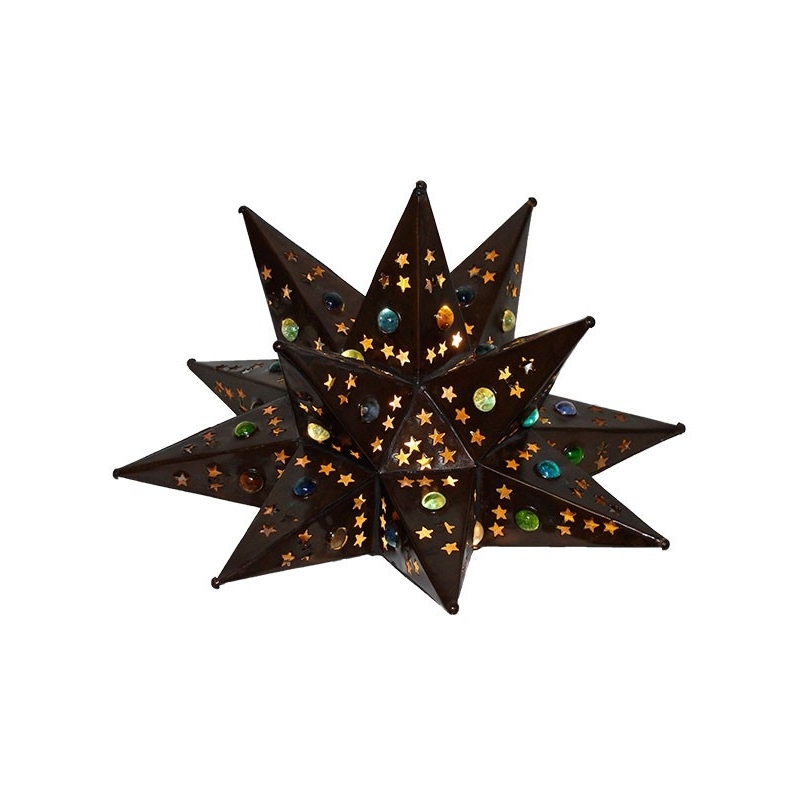 This authentic bronze tin wall star light has a FLAT side to be hanged at a wall. 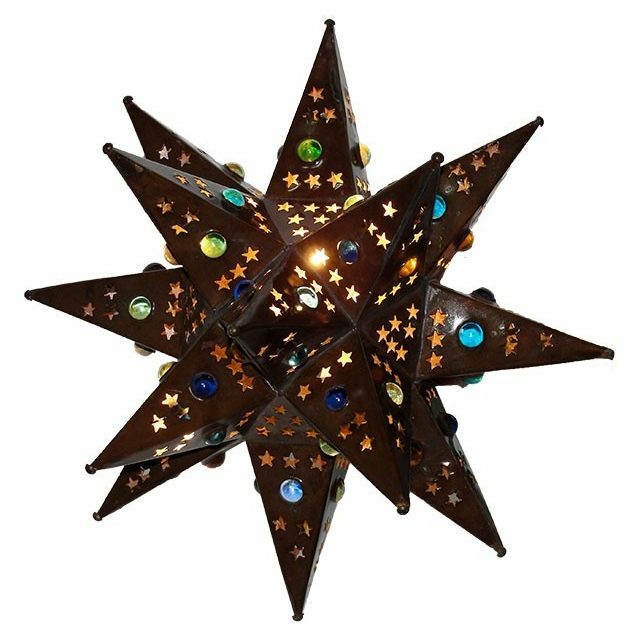 These hanging star-lighting complement any rustic including Spanish colonial, southwest, Tuscan, or Santa Fe. Each side of the star has a single and colored marble. Since each rustic star fixture is hand crafted, color and finish may vary slightly from what’s pictured here. We offer two sizes.